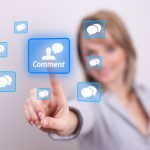 Gas can be a very uncomfortable experience and could easily create an embarrassing situation if it was to work its way out in public. Splenic Flexure Syndrome takes that uncomfortable feeling and amplifies the experience. This process can range from the annoying “gas pains” that you may experience periodically through life, to more of a debilitating condition that can cause extreme amounts of pain. The pain has been so unbearable for many that they had thought their appendix ruptured. You don’t have to live in agonizing pain if you suffer from Splenic Flexure Syndrome. Although various doctors may disagree on treatments and causes, you can help yourself by taking measures to reduce the amount of air that could be produced within the intestinal tract. Many people suffer from this affliction, and most of them have found a way to live through the experience. Many attribute the beginning stages of SFS as a form of severe gas. However, the pain can continue to increase and is concentrated near the upper-left side of your abdomen. It can also be present if you are bending or twisting your abdomen as if to turn your body. As this pain can manifest itself to those who merely sit down in a chair, those who have office jobs can be easily disabled by the experience. It may be increasingly difficult to become comfortable. In some cases, the upper-left area of the abdomen can become distended and tender to even the slightest touch. Tapping on the abdomen could create a hollow sound much like thumping a ripe watermelon. However, this could also be caused from overeating as your stomach can become distended while providing the “hollow” sound effect as well. 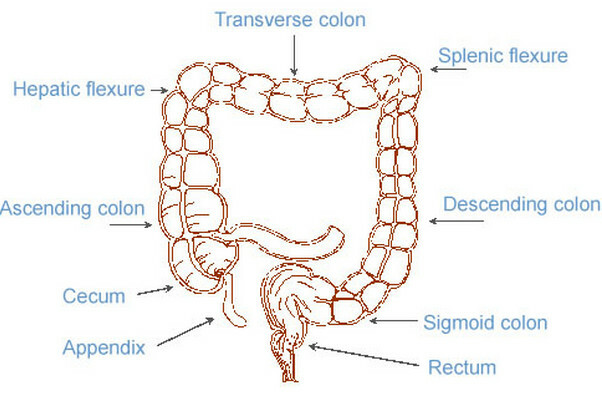 Splenic Flexure Syndrome can cause irregular bowel complications. Some people may experience a severe bout with diarrhea, while others may experience constipation. Those who are experiencing SFS can easily mistake it for simple gas and indigestion although the bowel symptoms can become far worse over time. This is also inclusive of many other physical complications such as a fever, abdominal cramps, bloating, and colon spasms. What Causes Splenic Flexure Syndrome? There are many situations that can increase the likelihood of suffering from SFS. Although many of them are dependent of the foods you eat, it is possible to develop this condition as an effect of cancer and/or diseases. According to professionals, this condition can be quite easy to contract depending on your diet and eating habits. The bacteria that breaks down food can release a great deal of gas in your digestive tract. This can be an effect of allergens to specific foods, materials that your body has problems absorbing, and those that are considered short-chained carbohydrates as they can drag water along with them that can cause bloating. A food poisoning can cause all kinds of intestinal and digestive problems. Bacteria such as E. coli and Salmonella can assist in the development of Splenic Flexure Syndrome. As these kinds of food poisonings contribute to the development of gas, the symptoms created by these bacterial infections can be very similar to SFS. Eating too fast can have the effect of swallowing air which will move through the digestive tract. If the air sits within the Splenic Flexure without the ability to move out, it can accumulate over time. It’s always better to take time to eat and not rush the experience for you may find yourself running for the toilet later on. There are a number of problems that can be caused by eating too fast and SFS is just one of them. 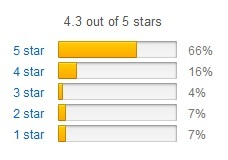 Some have experienced SFS through ulcerative colitis. This disease usually starts in the rectal area and could envelope your entire large intestine over time. Your doctor will be able to tell if this is causing your intense bout with gas and irritable bowels. Can Splenic Flexure Syndrome be Treated? Although there are a few techniques, habits, and over-the-counter medications you can take in order to treat SFS, many doctors can’t offer much in the way of a cure for this debilitating ailment. Unfortunately, this is one of those afflictions where only the symptoms can be treated. 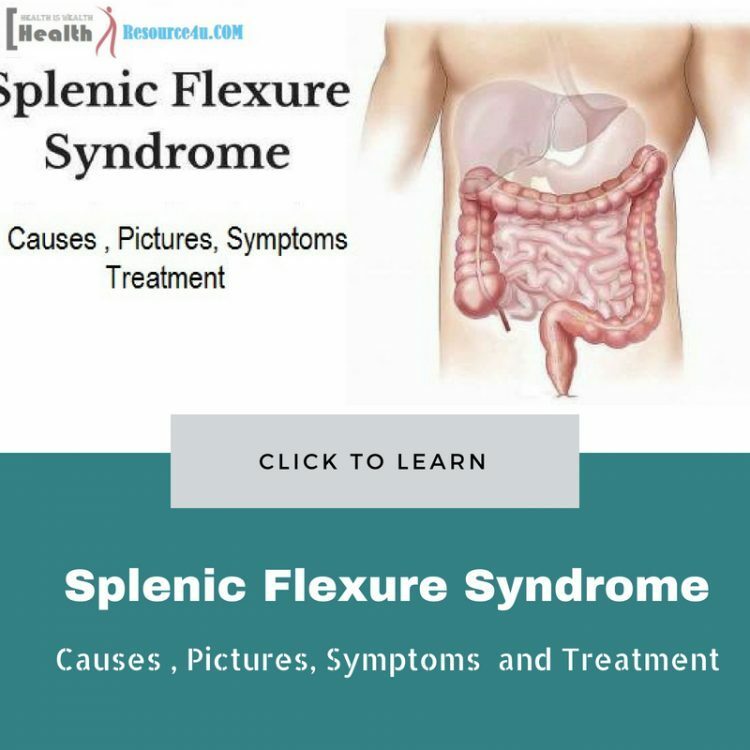 As there are so many different ways that Splenic Flexure Syndrome can be caused, there is no 100-percent remedy for this situation other than being mindful of what you put into your body. As SFS is usually caused by the foods you consume, it would be in your best interest to alter your diet if you wish to put an end to your suffering. In regards of how lactose intolerance can lead to similar symptoms, there are other methods to ingest the vitamins and minerals your body needs. This could also mean staying away from foods that you know to be devastating to your intestinal tract. If you are unaware of what foods cause you to be in so much pain, keep a running log of everything you eat in order to help you eliminate the possibilities. There is no real way to combat Splenic Flexure Syndrome with medications. Instead, those that could relieve the symptoms are the ones you would want to take. 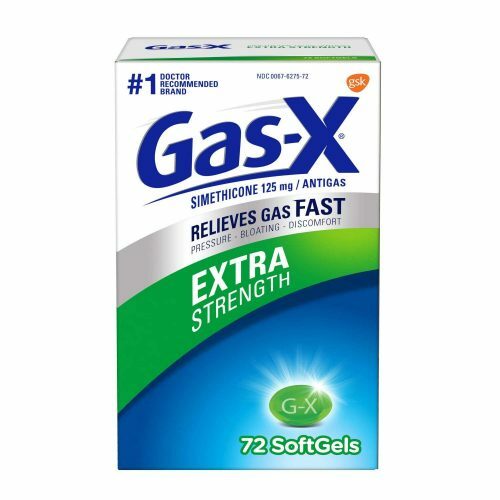 Medications such as Gas-X and/or Beano can help alleviate the bloated and gaseous feelings. Medications that loosen the stool to induce a bowel movement and plenty of fluids can help relieve a great amount of pressure for those suffering from constipation, while treatments for diarrhea can help others with that particular aspect. For the spasms you may feel frequently, taking an antispasmodic drug can help calm the storm that is within you. Suffering from a form of Splenic Flexure Syndrome may not kill you, but it could feel like it should. Eating a healthier diet and chewing your food thoroughly can greatly increase the healing process. Always monitor what you put into your body for it can save you from a great amount of pain. Keep in mind that not all gas pains are considered SFS unless it’s continuous for more than a week. What you’re experiencing from that taco that you ate last night may be nothing more than eating cheap spicy food that your stomach simply didn’t agree with. So glad I found this site. At times the pain in unbearable. This describes exactly what I’ve been going through for almost 2 weeks. Have even been to the ER where I was told it’s anxiety. Doctor won’t diagnose it until I have colonoscopy, but that won’t happen for at least 7 weeks. At times the pain is unbearable. I have all the symptoms except a fever and constipation.